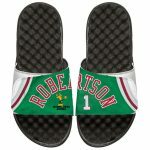 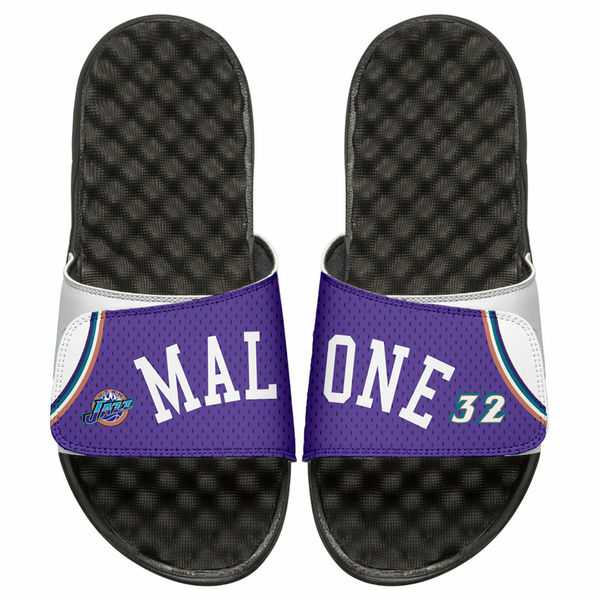 Add a little panache to your young fan’s outfit with these Utah Jazz Karl Malone Retro Jersey slide sandals! 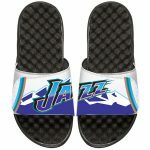 Whether he’s headed to the park or just meeting up with a few friends for a Sunday afternoon cookout, these Utah Jazz sandals are the perfect addition to his look. 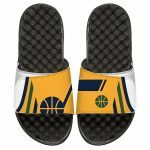 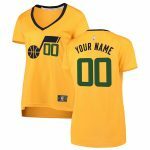 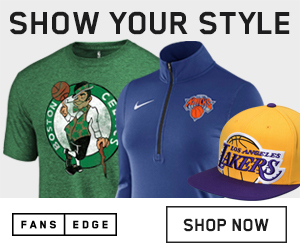 They feature a comfortable design with specially crafted RPL Signature, massaging foot-bed contours along with anti-microbial spray and vintage Utah Jazz graphics to match.